I started a blog to share my thoughts and our company stories with all stakeholder groups ranging from customers, concierges, team members, shareholders, the industry, etc. We believe that bringing your strong passion and energy into the tabiko community is necessary to achieve our mission — to fill the world with hospitality. Before tabiko, I was doing an online gift service when I was a senior student. The service enables you to send a gift to your friends without knowing their address. After purchasing a gift, you share the link of the gift to your friend via FB messenger, LINE, and SMS. Then, your friend can type the address where he/she wants to receive the gift. I actually created this to send a gift to the girl I was into haha. After launching the service, I discovered that making something is way more difficult than I had ever imagined. There were only a couple of users visiting the service every single day. Moreover, the total revenue was only $50 in three months. And $30 of that revenue came from me! I had no idea what to do to get me off the ground and felt like I need a reliable mentor who can offer advice. After realizing this, I scheduled a meeting with an entrepreneur, Ryosuke Matsumoto, who was the former CEO of a company acquired by Yahoo! Japan in 2012. He is an experienced entrepreneur and has great skills for creating consumer products. Due to the lack of success and weak future of the gift service, I decided to close it right before I took the meeting with him. To this day, I recall the first thing he said to me after I had told him the news. To my surprise, he said ‘Oh yes, I was also about to say you should stop this.’ I didn’t expect that from him, but glad to know we were on the same page. He continued, ‘What’s next? Let’s do something together.’ To be completely honest, I was a bit exhausted from the failure of my first venture. But, his future-oriented mindset sparked my strong passion to create something that could be used all around the world to enrich the lives of people and society. In the following days, I started to think about the next big idea. I looked around carefully to discover what problems people have and what problems have to be solved. At this time, it was apparent that the number of foreign tourists coming to Japan was rapidly increasing. However, a good portion of these foreigners had a problem. They didn’t feel comfortable traveling in Japan due to language barriers and cultural differences. Despite the array of travel websites and services, these travelers still felt uncomfortable traveling in an unknown place. After considering this issue, I came up with the simple idea of a chat-based online concierge service that answers any questions and requests from foreign tourists traveling to Japan. Most of the travel services offered at the time were focusing on solely the booking segment of a trip. There was a huge need for a service that designs entire travel experiences. Every traveler creates their unique stories and memories through a trip, and I wanted to be with them in that journey. In November 2015, I started a company with this philosophy in mind with fundraising from Ryosuke Matsumoto as an angel investor. At first, we didn’t start from the current tabiko app. We actually offered the service on the web and through messenger apps. As a startup, the company didn’t have enough money to hire other staff, so I helped every single customer. In 2016, we successfully closed our seed funding, and gained a CTO, Krishna Prahasith, a loyal business partner and one of my closest friends. Krishna and I thought we should make the service into an app to deliver much better services and experiences to users. And thus, tabiko was born in February 2017. Since we launched the tabiko app, over 130,000 people have joined as users in the tabiko community. The best thing is that they seem to really love the service provided when using tabiko. We currently have a 4.9 app rating with over 3,000 reviews! Some of them even send a letter and souvenir to us :-) Thank you to all our users! Through providing concierge services to travelers, tabiko has gradually transformed into something bigger and more meaningful than we had ever imagined. At a basic level, tabiko provides concierge services, but it’s truly hard to describe everything we do into just one category. Our services such as giving a warm welcome to every single user, having friendly communication with them, delivering wow experiences, and assisting in various requests, encompass what the tabiko hospitality is. We’re not just about providing concierge services. Instead, we ask our concierges to provide you with unique hospitality experiences from all over the world when you use tabiko. We believe everyone has their own unique hospitalities at the heart. And want this to be the core value of tabiko. Today we’re living in the most industrially advanced societies and there is no doubt that there will be an increase in our material progress and technology. But there is something missing. We have been neglecting something essential to our lives: human relationships. To create a more connected world, we want to create a place where you can meet unique hospitalities from all over the world. 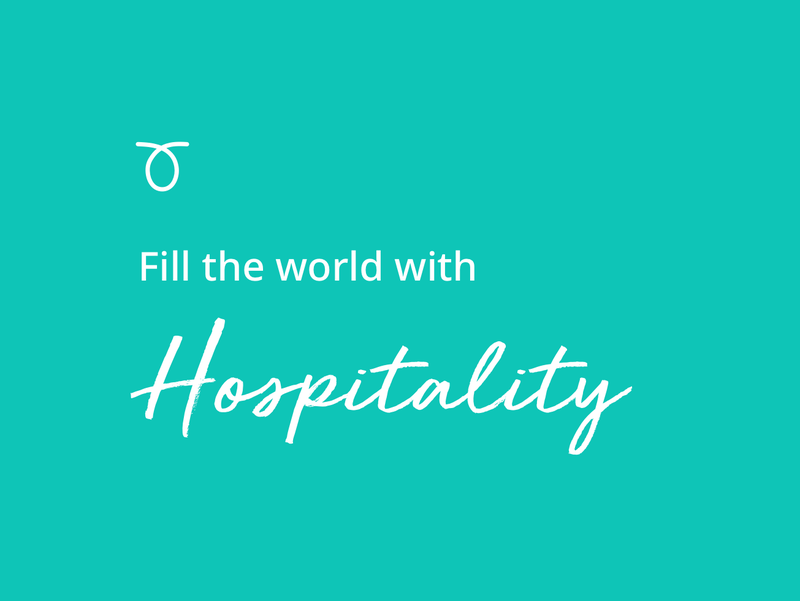 Our mission is to fill the world with hospitality. Let us always meet each other with hospitality. Hospitality is at the core of human relationships and the beginning of love. Since the early days of tabiko, we’ve been hiring and training all concierges ourselves to maintain an exceptionally high standard of concierge service. We want to take tabiko to the next level in order to get the best out of concierges’ knowledge to make your travel unique and magical. We’ll start a Concierge Program in a few months. It’s our official program that allows you to become a concierge of tabiko. We’re going to create a platform that connects knowledgeable travel concierges who want to deliver their hospitality to travelers who need concierge services. Tabiko is turning people into travel concierges the way Airbnb is turning people into hosts and Uber is turning people into drivers. By joining this as a concierge, you’ll be able to share your travel knowledge, experiences and provide excellent concierge services to travelers. You can also earn money based on your Star RewardsーStar Rewards is a new system which was introduced on the latest tabiko version in February 2019. It’s a tipping reward for excellent services, and concierges can receive Stars from users when they are satisfied with your services. Please apply to the program if you are interested in joining the tabiko concierge community. Our team will get back to you soon. Let’s welcome travelers and deliver your hospitality to the world together. Started from the inbound tourism in Japan, we’ll expand our services to other parts of the world. You don’t need to be familiar with Japan traveling. We’re open to expanding to other countries! Anybody who is interested in becoming a tabiko concierge can apply to the program. We’re really looking forward to your applications. Travel has the power to change your life.